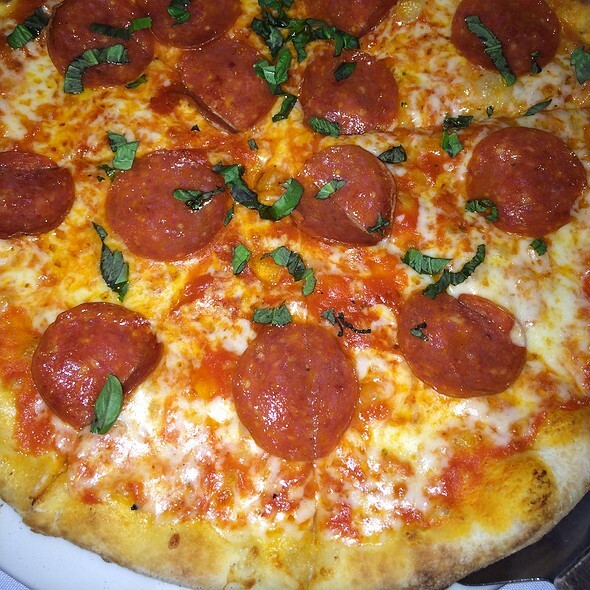 You must make reservations at least 5 minutes in advance of the time at Tuscan Grill - Fort Lauderdale. 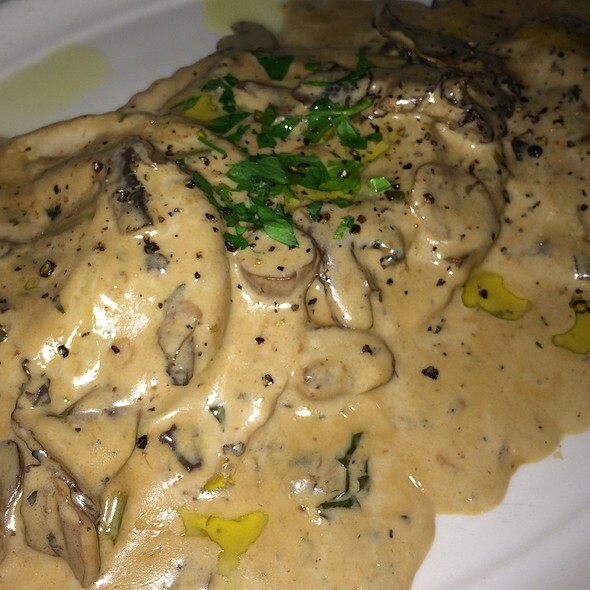 We invite you into our small corner of the world, The Tuscan Grill on Las Olas in Fort Lauderdale. We can only warn you that you may never want to leave. The setting is a waterfront al fresco dining experience if you choose to dine in our outdoor patio. If you prefer indoor dining, come enjoy our cozy 40 seat dining room, or our well stocked bar, and enjoy a dinner like no other. You will be warmly greeted by Gabriel Salas, our General Manager, and taken care as if you were in your very own home. 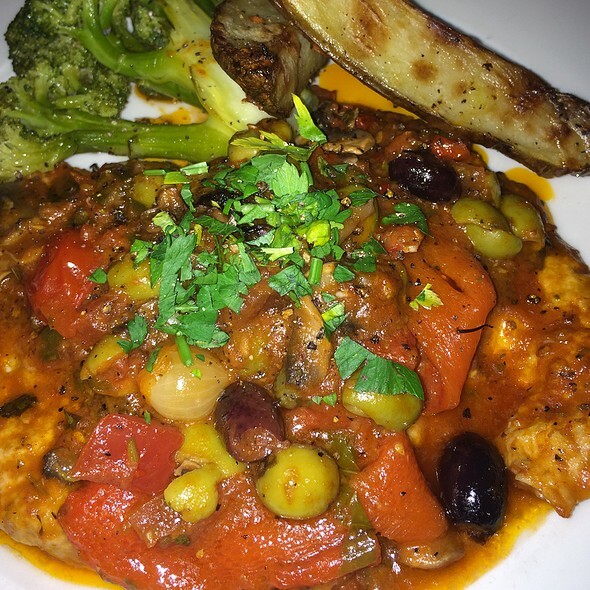 Come enjoy the delights of the Tuscan Grill in a wonderful atmosphere with your family or friends, you will always leave with more that you arrived with and look forward to returning again soon. Buon Appetito!! hearts of romaine lettuce with traditional caesar dressing and homemeade croutons. thin sliced raw tenderloin seasoned with virgin olive oil, parmigiano & arugula truffle. fried calamari tossed in hot pepperoncini & tomato sauce. rugola, bosch pears, extra virgin olive oil & lemon dressing. fresh little neck clams in a white or red sauce. tuscan bean soup with pancetta ham & aromatic oil made to order. imported mozzarella, sliced vine ripe tomatoes fresh basil & extra virgin oil. 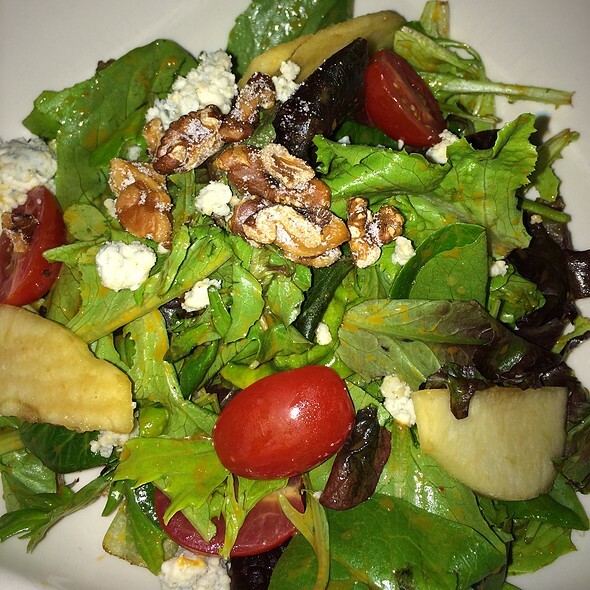 organic field greens, balsamic, gorgonzola, caramelized walnuts, apples & tomatoes. homemade jumbo meatball stuffed with roasted peppers and ricotta in a tomato sauce. long island wild little neck clams. deep fried and sauteed calamari with spicy tomatoes. fresh arugula, pears, parmigiano, lemon and olive oil. 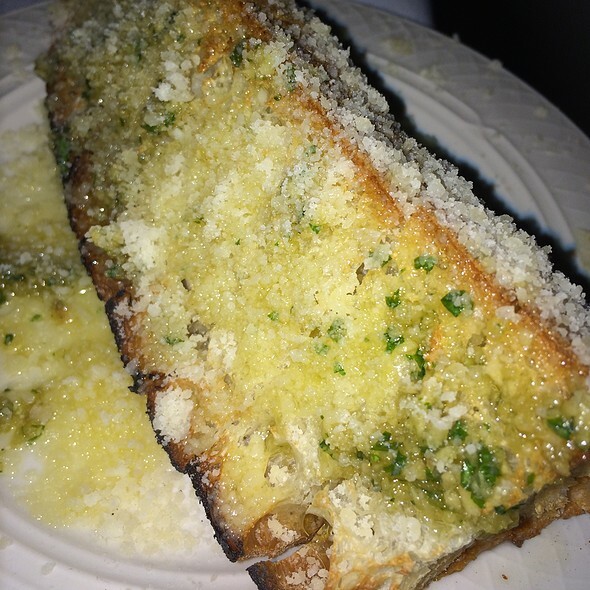 classic with grated parmigiano reggiano. mesculin greens, apples, tomatoes, gorgonzola, walnuts. fresh mozzarella, tomatoes, fresh basil, olive oil. add to any salad. 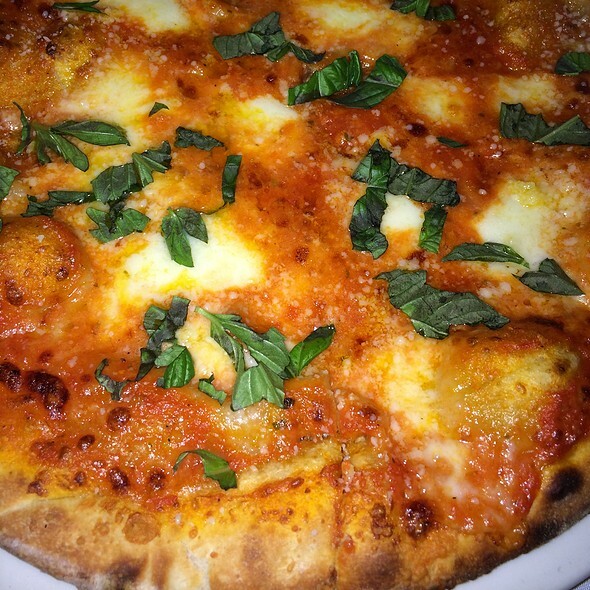 fresh tomato sauce, basil and ffresh mozzarella. spinach, mozzarello and goat cheese. goat cheese, parmigiano, ricotta and romano. zucchini, roasted peppers and mushrooms. angel hair pasta in fresh tomato basil sauce. potato dumplings with fresh tomato sauce and bufala mozzarella. We dined outside in front of restaurant as we love watching the world go by! Service was excellent and food was delicious! I had spaghetti carbonara w homemade pasta and smoked bacon and prosciutto (I think- 2 kinds of diced meat were in it) and topped w a poached egg. It was so good! No heavy cream or gobs of garlic- just fresh, tasty and light! Nice sized portion- I couldn’t finish it. Not enough for two on its own, but could share w a salad and an app or soup. Very authentic! No matter the occasion, this is the right place to go! Great time and great surprise of ambience, detail, and food all around. Me and my girlfriend enjoyed ourselves and the dining experience. My friends and I (nine of us altogether) were visiting from Pennsylvania so this restaurant was recommended to us and it was a great choice. Service was great! We really enjoyed the food and ambiance. Regular menu great and usually wonderful specials in addition. Halibut was delicious. Did not want the olive sauce so they did a francase. Daniel is always great too. A neighborhood gem on Las Olas that we visit time and tine again. Great service along with a menu of traditional dishes and nightly specials. Very friendly and accommodating . This was our second time at T/Grill. I asked for a "quiet table" away from the bar because the first time we were there the noise level was alarming and my husband said "never again".... It was a Saturday nite. Monday was a different story and they even called to explain about the "quiet table" business. We were out doors and noise wasn't an issue. The food was excellent again, the service was, also. Yes, we shall return, but maybe not until fall, as we head north for six months! Great setting with my husband and next visit with my 10 year old. All ages and life styles work here. We have been going to this spot for years. The food, ambience, and service are wonderful. The garlic bread is the best. We had a wonderful, patient waiter named stanley who was great. Great Fort Lauderdale spot with an acceptable noise level. We'll bre there again very soon. Very attentive service and food was delicious. Bar was a little slow, but, it was Saturday night. This was our first time and we’ll be back! I would return if just for the grilled octopus salad. Amazing dish. Truffle pizza was very good. Eggplant parmesan was mediocre imo, and the carbonara was too oily for my taste. Average service. Nice waterfront area to eat in. Very friendly, nice ambiance, good food, great service. Highly recommended. Another great evening with Gabe, Luigi and the full Tuscan Grill staff. As always the food was wonderful, attentive service and welcoming atmosphere. Great food in a large outdoor space! Service was pleasant and attentive. Lots of evening specials - which we selected. All well prepared. The Sea Bass piccata was excellent. The shrimp appetizer - 2 huge shrimp was well prepared, but a pricey ($24). The salad and gnocchi selected by my companion was excel. Nice choice of Italian wines. A great find! 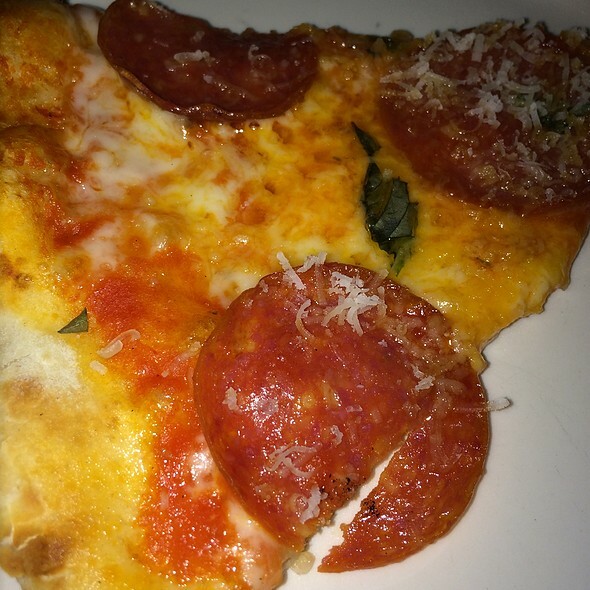 We love Italian food and Boston provides us great opportunities to enjoy some of the best so we can be picky. Tuscan Grill was delicious, well prepared Italian food. My experience is that is hard to find outside of the cities with large italoAmerican populations. The service was good. The room was a bit crowded but worth it for sure. On a busy Saturday night, we were seated promptly for an 8 pm reservation. It took a few minutes for the waiter to give us his full attention, but when he was freed up, he was on it! All 4 of us enjoyed our meals. 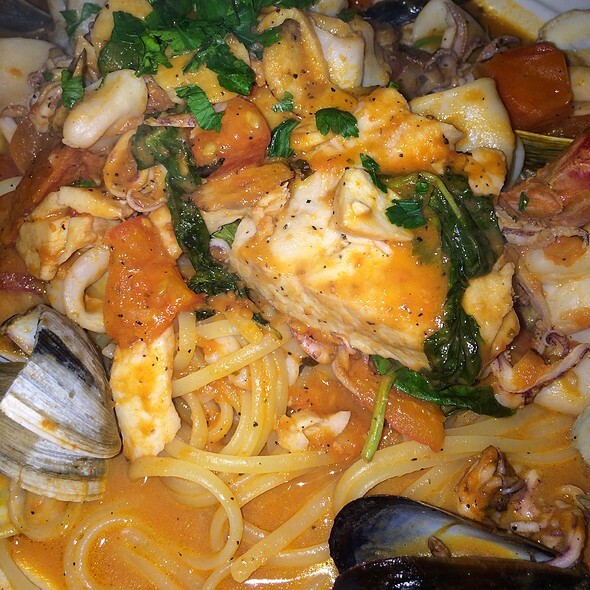 We had spicy seafood marinara, lamb chops, red snapper piccata(5*) and sea bass. We shared a piece of light cheesecake for dessert. Best restaurant on Las Olas. The staff is excellent and treat the customers like friends and family. We have been coming to the Tuscan Grille before Luigi Pizza became part owner. The food is always 5 star. It is one we trust to go to when out of town guest visit and we walk from the house. We have never been disappointed in the many years it has been there. We have lived in the neighborhood for 16 years and I believe they have been there for most of those years. Put it on your list of consistently good food and experience. We visit every year when doing our annual long weekend in Ft Lauderdale. Sit outside by the canal, you'll feel like you are in Italy! I highly recommend Dan for your waiter! He is knowledgeable, fun, interesting and we always request him! Valentine's day found 4 of us dining at Tuscan, an Italian eatery on Las Olas. A couple of months ago my wife and I took two out of town friends to dinner on Las Olas. 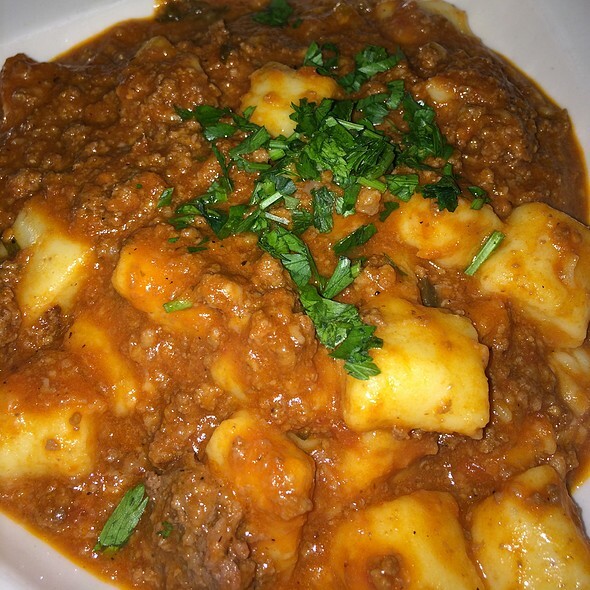 Our original goal was to dine across the street at the wildly popular Louie Bossi's but the wait was way too long so we crossed the street and got seated immediately at Tuscan Grill. Because of that good experience we made reservations at Tuscan Grill for the big date night. We were not disappointed. We arrived on time and were seated immediately. I had requested an outside table and they walked us downstairs to an outside table by the river which was very nice. The noise level was moderate making for a very enjoyable pre-meal chat. We started with calamari and an order of meatballs. The calamari could have been a little crisper but was still very good. The same held true of the meatballs, very tasty but they could have been warmer. Then on to a salad for the table which was rather pedestrian but satisfying nonetheless. My wife had the putenesca, not a dish I care for but she enjoyed it. Our friends had a chicken dish that they raved about. I enjoyed my spaghetti carbonara as much this time as I did the last time. I think I will have trouble ordering anything different, I like it that much. Dessert was chocolate lava case for the table with a vanilla gellato that was the star of the night (the gellato that is). We only got one order for the table so as to leave room for our after dinner walk to et gellato cones just down the street. All in all the dinner was very good, priced reasonably, served reliably and good enough to come back again! Excellent food and service. Atmosphere good too. Creative cuisine. This place always pleases us. Bacon wrapped scallops as an appetizer special were great. Pleasantly surprised. We had Branzino and Swordfish... both were excellent. Salads were crisp and good too. We will be back! Food was good; service friendly and efficient. Beautiful location. Beware of the parking lot next door! 7 minutes over and they want an extra $28!!!! Fabulous food & service! Can’t wait to go back again! Great specials in addition to the regular menu. One of our favorite restaurants. The two hostesses were rude. I will never eat there again. Visiting from New York. First time here with friends. A wonderful experience in every way. Thanks Daniel. Great food, great experience. Always a treat. from the minute you walk in the door they make you feel special. Dining on the outside patio is very pleasant. Service is excellent. The pizza and pasta were very good. Their website or Open Table entry should be more helpful for parking. There’s a structure with direct access but it’s not easy to find. Still, highly recommended. It was New Year’s evening and we were also celebrating a birthday. Except for the waiter (who was a bit abrupt) everything else was GREAT. WAs there got NYE great but pianist was WAY TOO LOUD . It was annoying and not enjoyable. Fantastic service - Daniel was amazing!